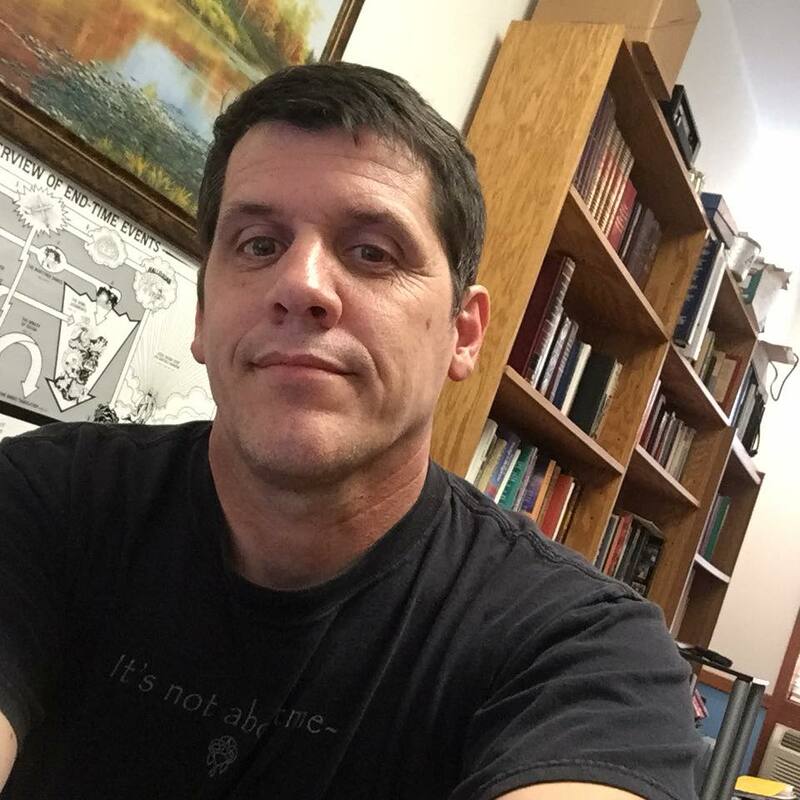 miracles – Brian Ingalls, M.Div. Did the Sun Really Stand Still? The account of the sun standing still, and all of the associated events recorded in chapter 10 of the Old Testament book of Joshua, have inspired a great deal of both derision and debate. Popular skepticism and many in academia reject the description of the miraculous, particularly in this account, due to the scientific difficulties involved. Meanwhile, biblical scholars themselves have proposed several explanations, each with its own set of problems. The effort to explain the statements about the sun and moon standing still in the sky as Joshua and the Israelites pressed the battle against their enemies is where most interpretations diverge. The traditional viewpoint takes these statements at face value, while other viewpoints argue for alternative understandings of the text, or reject the truthfulness of the text altogether. One noted scholar admits, “None of the explanations is entirely satisfactory,” while another concedes that, “Many plausible elements can be found in almost every solution.” But where then is the average reader to turn, and what then can be believed, when it comes to this account? With such an unsettled state among even the scholars, how much confidence can be placed in any particular interpretation? To begin to answer these questions, a refocusing on the details present in the Scripture itself, and a careful consideration of where those details lead, is necessary not only to limit unsupported speculation, but may also help in bringing to light a more unified view. With such a goal in mind, this brief examination will attempt to show that closer attention to the text itself will not only narrow the interpretive options, but also highlight that a real event took place, which was intended to bring refreshment and victory to a tired Israelite army. The book of Joshua reads as an ancient record of the conquests of the Israelites as they entered, fought, and eventually settled in Canaan. Geographical locations are spelled out in detail, along with the descriptions of battles and the strategies used. Nevertheless, many interpretative views substantially sever the connection of the text with a real event. One scholar suggests for instance, that the story of Israel and the Gibeonites was likely nothing more than a fable added to the book for political purposes. “The YHWH temple at Gibeon,” he writes, “was probably abolished in the course of Josiah’s religious reform. The Gibeonites’ strong opposition to the closing of their temple is reflected in the satirical polemic initiated by a [Deuteronomic] author against the Gibeonites and their elders.” Thus, it is alleged that the story in Joshua was invented, “in reaction to the resistance of the Gibeonites” to Josiah’s reforms. Such a viewpoint dismisses the idea that the sun or moon stopped in the sky as pure fiction. The alternative offered, however, is entirely speculative itself, and ignores the context of Joshua as a detailed, ancient record, claiming (without any actual proof) this part of Joshua was just thrown in for a political reason. Thus, the weaknesses of the preceding interpretations are that they impose solutions that are contrary to the context of the book of Joshua as a whole, which presents itself as a detailed record of events with real geographical places. The accuracy of the geographical detail alone, attests to this. In fact, there are interesting clues to be found in the text itself. For instance, Joshua prays, “Sun, stand still over Gibeon, and moon, over the Valley of Aijalon” (Josh. 10:12b, HCSB). Gibeon was east of the Valley of Aijalon implying Joshua was not asking for the sun to stand directly overhead, but for the sun to remain in the east, while the moon remained in the west. This is apparently contradicted by the next verse, which says, “So the sun stopped in the middle of the sky” (Josh 10:13), but the Hebrew word translated “middle” is far more often translated as “half.” The apparent contradiction is reconciled if Joshua was asking the sun to remain on its half of the sky while the moon remained on the other half. Furthermore, the fact Joshua asked the sun to stand still in the east implies it was still morning when Joshua spoke. This suggests Joshua was not asking for more daylight to finish a battle, but for a cooler day in which to fight it. The Israelites had, according to verse nine, just marched all night long. Many interpretative views latch on to some of these details, but often fail to account for all. A scientist suggests Joshua’s long day could be explained by a meteor. He writes, “A night-time airburst comparable in energy to a nuclear bomb explosion many times greater than Hiroshima would be seen as the sun shining at night.” Perhaps, but only for a few seconds. The event in Joshua 10 lasted for “almost a full day” (Josh. 10:13b). Benedictus de Spinoza believed Joshua’s long day could be explained by “the presence of hail in the air, together with the empirical knowledge that hail in the air causes additional light.” It is entirely unconvincing, however, that anyone would mistake hail for the sun itself. Hail storms, meteors, and other suggestions such as solar eclipses simply do not last for an entire day as the text of the story describes. Another view argues the description of the sun and moon, especially the statements that the sun or moon “stood still” or “stopped,” merely reflect the normal language of ancient omens regarding the movement of the sun and moon across the sky. John H. Walton argues that when the full moon occurred, “on the wrong day” it was, “believed to be an omen of all sorts of disaster, including military defeat and overthrow of cities.” While at least addressing a contextual matter from ancient times, this view has two primary difficulties. First, there simply is no mention in the text that the opposing armies viewed this as an omen, or any mention that omens were important enough to the Israelites that Joshua would ask for one. The book presents miracles as factual accounts, and thus it seems more likely that the same book that described the Israelite force crossing the Jordan after God divided the waters, would likewise be clear that merely an omen was in view if that was the case in Joshua 10. Instead the natural reading of the text, especially after the Jordan crossing and the miraculous victory at Jericho, is that something miraculous happened here with the sun and moon. Secondly, the appearance of the sun and moon in opposition at any point, is not something that would last for “about a whole day,” as the text describes unless the sun and moon indeed stopped their motion. The text provides several other clues as well. For instance, verse 12 begins with a Hebrew word that is translated into English as “then.” This is not a sequential ordering, however. Howard writes the Hebrew specifically, “introduces important action that took place at the same time…That is, somehow the hailstorm of v. 11 and the phenomena of vv. 12-13 either were one and the same thing or (more probably) they happened at the same time.” Even in English, the text prefaces Joshua’s prayer with: “On the day the LORD gave the Amorites over to the Israelites, Joshua spoke to the LORD in the presence of Israel: Sun stand still over Gibeon…” (Josh. 10:12a). Accordingly, Joshua could have prayed this at any time during that day. A morning prayer is consistent with the position of the sun and moon mentioned earlier, and again indicates Joshua’s motive was more than simply having extra time. Thus, the text itself strengthens some views, but weakens others. Beyond the context of the book and the text, the circumstances surrounding scene in Joshua 10, also impact interpretative views. As has already been mentioned, the Israelite army had marched all night. It is reasonable that Joshua would not ask the sun to stop overhead where the heat of the day could weaken his army. D. Ralph Davis takes this further, noting that the Hebrew verbs translated “stand still” and “stopped” can be translated to say the sun and moon gave less light than normal. He writes, “Which activity of the sun and moon is Joshua prohibiting? Most assume it is their movement. But why could it not be their shining?” This view gains strength from the circumstances of the story, although the historical circumstances regarding the interpretation of these words are less supportive. Re-translating these words would mean some of the earliest interpretations of the Hebrew by Jews and Christians alike would have been wrong for thousands of years. The Wisdom of Sirach, written in the second century BC, references Joshua 10, saying “And didn’t one day become as two” (Sir. 46:4, WEBA). Writing in the first century AD, Josephus notes, “That the day was lengthened at this time, and was longer than ordinary, is expressed in the books laid up in the temple.” That the Hebrew has been interpreted this way for thousands of years, strengthens the position that the movement of the sun is the correct understanding. The circumstances of Joshua 10 do indicate a more refreshing day was a reasonable motive, even if the sun was stationary or appeared to remain in the east, which is consistent with the text. The hailstorm would have certainly blocked any overhead sunlight, perhaps only allowing sunlight to the east, while raining deadly judgment upon Israel’s enemies. Although Howard rightly observes “the traditional interpretation cannot be ruled out merely because it involves a phenomenon of colossal magnitude,” it is nevertheless true the traditional interpretation does not rule out that a cooler day was the whole point. It is also consistent with the text, albeit not with historical interpretation, that the cooler day was accomplished by lessening the intensity of the sun’s shining, a possibility in which the storm may have played a role, therefore not necessitating a stoppage of the actual motion of the sun and moon across the sky. This analysis therefore proposes that the context of the book of Joshua argues in favor of a real event, and when all details are considered, many speculative interpretations of Joshua 10 can be reasonably rejected. The interpretation that the sun and moon stopped their motion in the sky is a natural and traditional reading of the text, which is consistent with the context of the book and the power of God. However, the text itself also allows for an interpretation that the sun was shining with less intensity throughout the day. It is even possible from the text that this was because of the clouds surrounding a hailstorm sent by God. Thus, the interpretative options are narrowed, leaving out some views, but the text continues to allow some flexibility. Nevertheless, whether the sun and moon appeared to stop their motion, or whether the intensity of the sunlight was lessened, the circumstances including the position of the sun in the east, the condition of the army after a long march, and the presence of the intense storm, suggest the primary motive of Joshua’s request, or at least the ultimate result of it, was the refreshment of his army for the day’s battle and the subsequent destruction of Israel’s enemies by God. Richard S. Hess, Joshua: An Introduction and Commentary, vol. 6 of the Tyndale Old Testament Commentaries, ed. Donald J. Wiseman (Nottingham, England: Inter-Varsity Press, 1996), loc. 3069, Kindle. David M. Howard, Jr., Joshua, vol. 5 of The New American Commentary: An Exegetical and Theological Exposition of Holy Scripture, ed. E. Ray Clendenen and Kenneth A. Mathews (Nashville, TN: B&H Publishers, 1998), loc. 6672, Kindle. Nadav Na’aman, “The Sanctuary of the Gibeonites Revisted,” Journal of Ancient Near Eastern Religions 9 no. 2 (2009): 117, accessed December 8, 2015. http://dx.doi.org/10.1163/156921109X12520501747714. Hess, Joshua: Introduction and Commentary, loc. 3044, Kindle. Howard, Joshua, loc. 6743, Kindle. Hess, Joshua: Introduction and Commentary, loc. 3072, Kindle. John M. Monson, Do Historical Matters Matter to Faith? A Critical Appraisal of Modern and Postmodern Approaches to Scripture, ed. James K. Hoffmeier and Dennis R. Magary (Wheaton IL: Crossway, 2012), loc. 10718, Kindle. Euan G. Nisbet, “Joshua 10, the Gibeon strewn meteorite field in Namibia, and the Chelyabinsk fall,” The Expository Times 125, no. 11 (August 2014): 572. Accessed December 10, 2015, http://dx.doi.org/10.1177/0014524614529867. John H. Walton, Ancient Near Eastern Thought and the Old Testament: Introducing the Conceptual World of the Hebrew Bible (Grand Rapids, MI: Baker Academic, 2006), loc. 4755, Kindle. Howard, Joshua, loc. 6532, Kindle. Dale Ralph Davis, Commentaries on Joshua, Judges, 1 and 2 Samuel (Escondido, CA: The Ephesians Four Group, 2015), loc. 1133, Kindle. Josephus, The Antiquities of the Jews 5.1.17, trans. William Whiston, Josephus: The Complete Works (Nashville, TN: Thomas Nelson Publishers, 1998), 115. Howard, Joshua, loc. 6611, Kindle. Davis, Dale Ralph. Commentaries on Joshua, Judges, 1 and 2 Samuel. The Ephesians Four Group: Escondido, CA, 2015. Hess, Richard S. Joshua: An Introduction and Commentary. Vol. 6 of the Tyndale Old Testament Commentaries. Edited by Donald J. Wiseman. Nottingham, England: Inter-Varsity Press, 1996. Howard Jr., David M. Joshua. Vol. 5 of The New American Commentary: An Exegetical and Theological Exposition of Holy Scripture. Edited by E. Ray Clendenen and Kenneth A. Mathews. Nashville, TN: B&H Publishers, 1998. Josephus. The Antiquities of the Jews 5.1.17. Translated by William Whiston. Josephus: The Complete Works. Nashville, TN: Thomas Nelson Publishers, 1998. Monson, John M. Do Historical Matters Matter to Faith? A Critical Appraisal of Modern and Postmodern Approaches to Scripture. Edited by James K. Hoffmeier and Dennis R. Magary. Wheaton, IL: Crossway, 2012. Na’aman, Nadav. “The Sanctuary of the Gibeonites Revisted.” Journal of Ancient Near Eastern Religions 9 no. 2 (2009): 117, accessed December 8, 2015. http://dx.doi.org/10.1163/156921109X12520501747714. Nisbet, Euan G. “Joshua 10, the Gibeon strewn meteorite field in Namibia, and the Chelyabinsk fall.” The Expository Times 125, no. 11 (August 2014): 572. Accessed December 10, 2015. http://dx.doi.org/10.1177/0014524614529867. Walton, John H. Ancient Near Eastern Thought and the Old Testament: Introducing the Conceptual World of the Hebrew Bible. Grand Rapids, MI: Baker Academic, 2006. The Rapture: Taking it Literally? 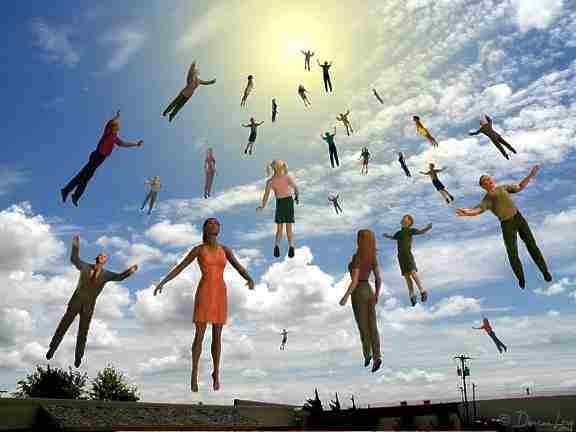 Anyway, the Rapture is basically a simple concept. In both places, the Bible (Paul was the writer) is talking about what happens to believers in Jesus who are still alive when the resurrection happens. Obviously, God’s not going to strike them all dead so He could raise them up at that moment. Instead of that morbid method, the Bible says we will be “caught up” to Jesus in the air (I Thessalonians 4) and changed “in the blink of an eye” into immortality (I Corinthians 15). Part of the reason Paul wrote about it in I Thessalonians was to give people hope. It is a rather exciting thought to consider. And assuming you believe in God and Jesus in the first place, it makes sense. I mean, if Jesus returned and raised the dead into eternity, it’s only natural to ask what would happen to those who are still alive at the time. The Rapture is the answer for that question. But we still manage to have huge arguments over it. Those debates are generally over whether to take it seriously in the first place, or if you believe in a resurrection, the argument is over when exactly the Rapture part of it happens. This claim is the center-piece of Christianity. As all four Biblical narratives about Jesus life and death attest, Jesus died from severe torture and crucifixion at the hands of the Romans and the blessings of the leadership in Israel. On a purely human level, Jesus’ teaching was obviously threatening the power and status of those in the theocratic leadership of Israel, and Rome was wary of anyone causing disruptions. It created a perfect storm which resulted in Jesus’ execution. On a spiritual level, Jesus life and death fulfilled over 108 distinct prophesies and became the culmination of the Old Testament religious covenant to the Israelites and the world. The New Testament Scriptures indicate that perfect storm was actually God-orchestrated, for the purpose of providing forgiveness and grace to the human race. Taking away sins once for all, meant a person no longer had to feel separated from God by sin, and provided a way for anyone to approach God, without a priest to intercede. It’s one reason three of the four Gospel accounts record the curtain of the temple being torn in two by an earthquake at the time of Jesus’ death. The curtain of the temple is what separated “the Most Holy Place” -where the presence of God was- from the outside world. The meaning being that humanity no longer had to be separated from God because of Christ. Age of the Earth, Can the Bible be serious? The Bible actually never says how old the earth is, but people do infer the age by adding up the genealogy lists which give the ages of various persons in a family line. There are several places in Genesis where it lists who was the father of who, and how long they lived, so adding those up, people arrive at an age of about 6,000 years. It has been argued that traditionally Jewish genealogies have sometimes left people out and skipped a few generations here and there when making a list. Many Bible believers, and even some (not all) Hebrew scholars have argued that the word we translated “day” in the Genesis story referred to a time period that was longer than 24 hours. (The word can mean a portion of a day, basically a full day, or an indefinite period of time depending on how it’s used.) Here, it’s used in a way that is most easily just translated “day,” as in… a regular ol’ day. Other’s have argued there’s a gap of time in there BEFORE the seven days of creation even start. Historically, they’ve argued that this is the time the dinosaurs lived, but the Hebrew language in those verses doesn’t really allow any gap between verse 1 and 2 for the dinosaurs to live in. Some argue that the earth was covered by water for eons, in between Genesis 1:2 and 3, but you can’t fit land dinosaurs in there. 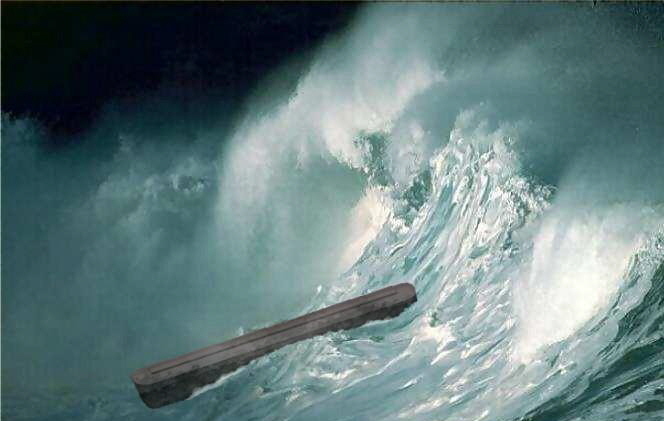 In his book, “A Biblical Case for an Old Earth,” David Snoke claims that the story of Noah in the Bible refers to a localized flood, and not a global one. I enjoyed his book, but I disagree with Snoke on this. So just for fun, I thought I’d answer some of his objections to a world-wide flood. How Does the Whole Miracle Thing Work? The mere suggestion that God may not work a miracle, or does not very often, would rock many people’s faith. “Pentecostals believe in religious experience the way electricians believe in electricity,” writes Earl Creps in his book Off-Road Disciplines -Spiritual Adventures with Missional Leaders, “without it, we have no reason to show up for work. The Spirit moves in profound and observable ways, and our heritage teaches that most everything else just takes care of itself.” A very open and honest admission by a guy who has taught in the Assemblies of God Theological Seminary and I’m told pastors a church these days. The evidence used for Christ or God most often by those who preached in the Bible was not the evidence of a miracle. Jesus used miracles. The early church performed miracles and Moses performed miracles. 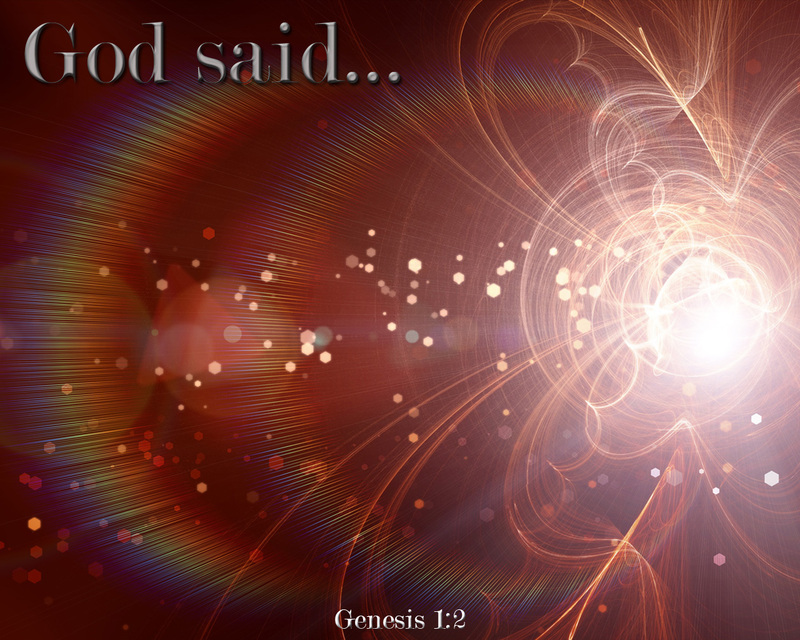 For most, however, it was the word of God and typically, the prophetic word that provided the evidence. Miracles by Moses, Jesus, & the early church leaders authenticated God’s word through them. First, Jesus was making a larger point to the Jews. He brought this up because in both of these examples from Israel’s history, God withheld blessing from his people and instead gave assistance to non-Jews. This was symbolic of what was happening in Jesus day. The Jews, God’s people, wouldn’t accept Jesus and so while God would bless the non-Jewish world through Christ, the Jews would be left out. In fact, their nation would cease to exist about 35 years after this in 70 AD when the Romans wiped them out. Why is it true that God blessed two people, curing Naaman the Syrian of leprosy and providing food for a non-Jewish widow, while at the same time Jews were dying of leprosy and Jewish widows were starving to death? Why doesn’t God give a miracle every time? Or more to the point… Why doesn’t THIS appear to be true all the time?